MEGALOLZ! 11 Celebrities That Look JUST Like... EMOJIS! Round shiny head? Check. Cool-as shades? Yep. Killer "come to bed" smile? You got it. 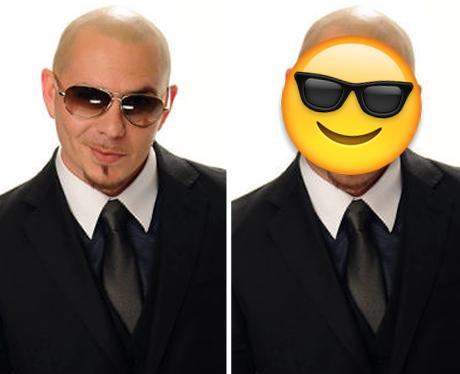 This emoji has Pitbull written ALL over it! See the full gallery: MEGALOLZ! 11 Celebrities That Look JUST Like... EMOJIS!